See pictures from Dreamtime 2015, hosted in Adelaide from 6-9 December, with UK buyers spending a further three days in Queensland, exploring Cairns and the Great Barrier Reef. Tourism Australia, Etihad Airways, Virgin Australia, Adelaide Convention Bureau and Cairns and the Great Barrier Reef Business Events hosted UK buyers from 6-12 December on a week long-trip to South Australia and Queensland. 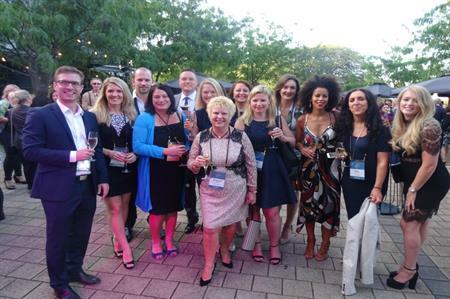 Buyers from agencies including Imagination, Conference Contacts, Five Hats International, drp, American Express UK, Global Event Services, BI Worldwide and The Black Tomato Agency enjoyed three days in Adelaide where Dreamtime 2015, Tourism Australia’s signature business incentives event, was held. On the final day in Adelaide, buyers enjoyed a trip to Port Willunga on the coast, taking part in a range of teambuilding activities including beach art, cricket and fishing, before lunch at The Star of Greece overlooking the coast. Buyers also made a stop at the Mclaren Vale wine valley, blending wine at Wirra Wirra winery and attended a gala dinner with suppliers at the National Wine Centre of Australia. The next day (9 December) the group departed on a flight with Virgin Australia to Cairns. They stayed two nights at the QT Port Douglas hotel and a further night at the Pullman Reef Hotel Casino and Pullman Cairns International. UK buyers spent a day at the Great Barrier Reef, enjoying a range of activities including scuba diving, helmet diving, helicopter rides and snorkelling. The group also visited Mossman Gorge and enjoyed a wildlife experience at Hartley’s Crocodile Adventures. During their stay in Queensland, buyers also carried out a site inspection at the Sheraton Mirage Port Douglas and dined at a range of venues including Nu Nu restaurant in Palm Cove, Boonooloo at Newell Beach, Flames in the Forest and Dundees restaurant.